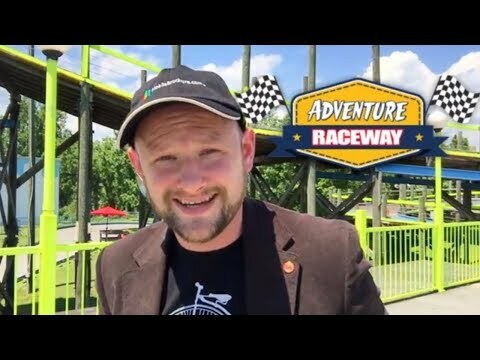 The Ripley's Attraction Combo Package - Save a BUNCH! 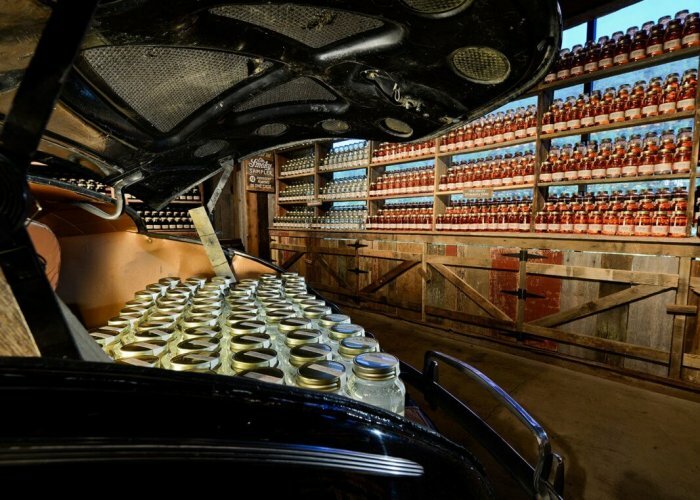 The Ripley’s Attraction Combo package is an excellent way to save money on a bunch of the best Pigeon Forge attractions at one time. 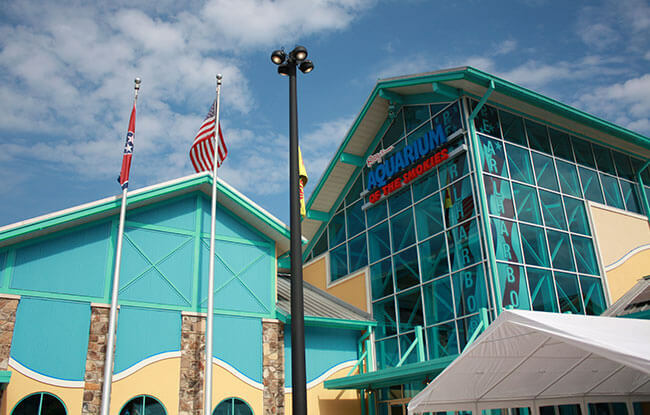 With the Aquarium of the Smokies as the base, you can choose to add on anywhere from two to seven more attractions. They are suitable for the following: Ripley’s Believe It or Not! 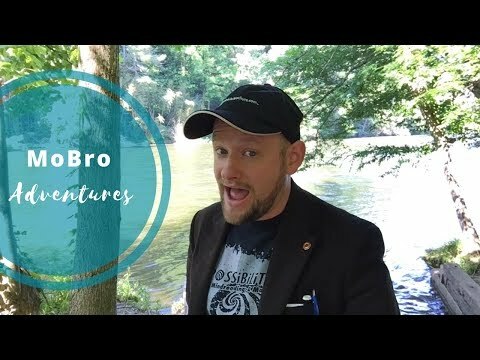 Odditorium, Haunted Adventure, Moving Theater, Mirror Maze, Mini Golfs (both), and the Guinness World Records Museum. 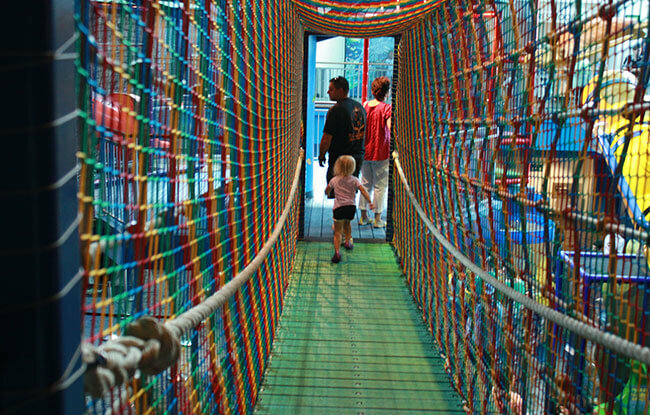 Keep in mind that some of those attractions are too scary or too intense for young children, and the Moving Theater has a height restriction. The best thing about the combo passes? They are good for ONE YEAR from the date of purchase! So if you can’t fit it all into one trip, make two. 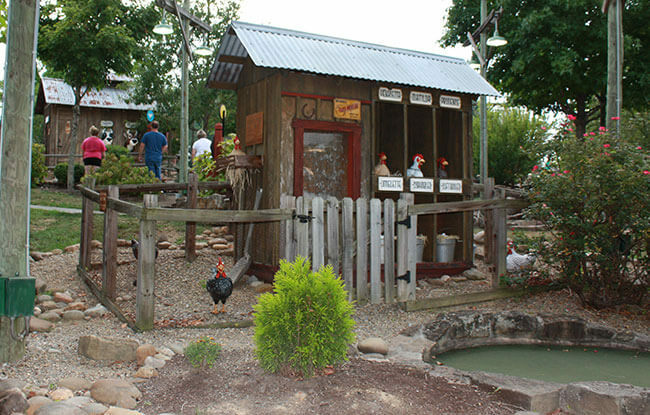 When we visited the Smoky Mountains, we went to the Aquarium of the Smokies, the Mirror Maze, and Old MacDonald’s Farm Mini-Golf course. 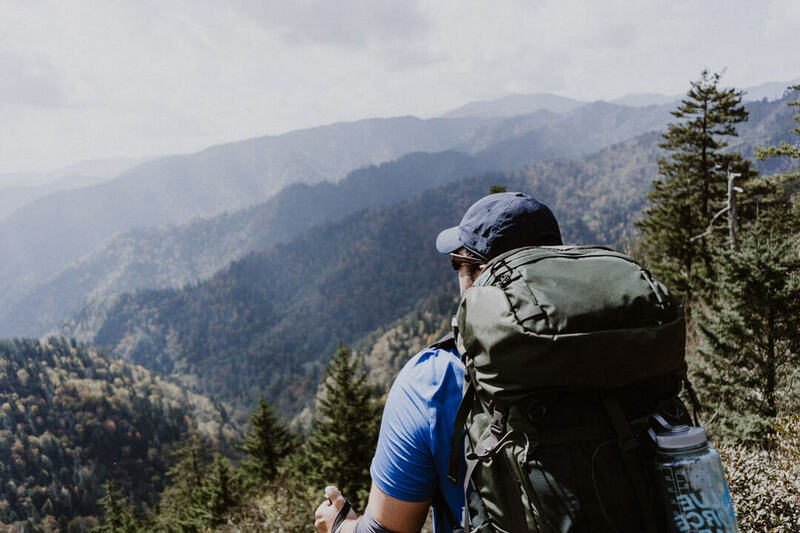 In this article, I’ve provided a run-down of what you’ll experience for each of those, as well as a guide for how much time to allot for each attraction. The aquarium is both wheelchair and stroller friendly. It’s better to arrive first thing in the morning. They open at 9 a.m., but with a three-year-old we got there around 10:15 a.m. when it wasn’t too busy. There’s a convenient parking garage behind the aquarium. Upon entry you’ll see the large playground from the top level, which is sure to get your kids all excited. You’ll start in the tropical rainforest section. 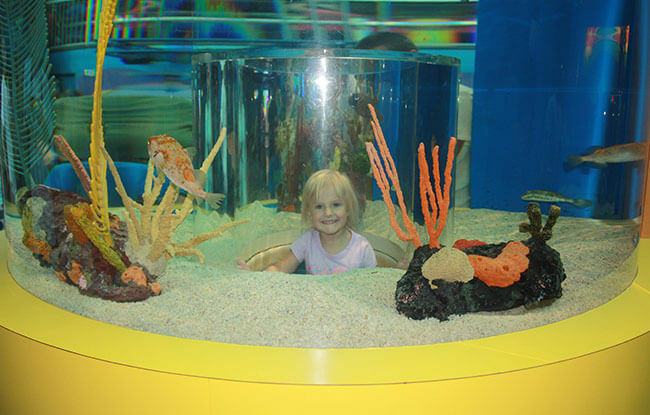 You’ll see red hooks, red-bellied piranhas, freshwater stingrays, cardinal tetra, and other fish. They also have a green iguana and poison dart frog on display for those who are curious to see lizards and amphibians. Further down, you’ll enter the Ocean Realm with moray eels, moon jellyfish, schooling fish, and a scorpionfish, which I almost couldn’t even see as it blended in so well. They look like seaweed. Then we saw the peacock flounder, which looked more like a pancake. Then we passed the life support area, where we learned how the aquarium is maintained. We also learned about the ocean itself. Did you know that sea foam is made out of waste particles forced into the water by the surf? You’ll never look at sea foam the same again! After the exploration through those zones, my daughter decided to play on the playground. Here’s a little note to parents: figure out the travel paths and access to the playground before you let your kids go exploring. There is a ramp to the bottom from the top level. You can see the touch pools for horseshoe crabs and jellyfish, which my daughter checked out. She was more interested in getting back to playing, though. 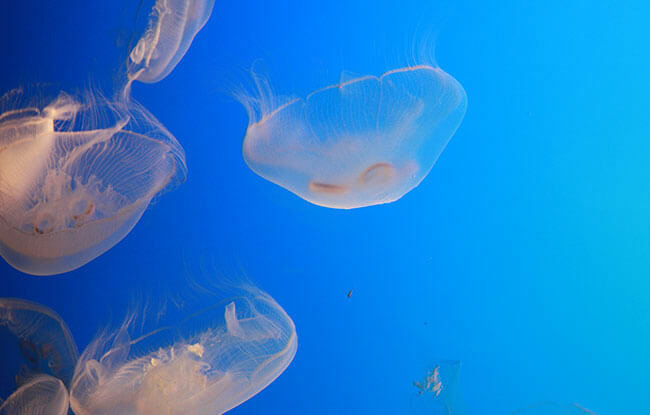 The jellyfish were very soft, and the ones at the aquarium don’t sting. When we were finished with the playground area, we went to the Coral Reef zone. We saw a huge tank filled with yellowtail and Tahiti butterflyfish, redtooth triggerfish, bluestreak cleaner wrasse, and more. The next tank before Shark Lagoon was the sea dragon tank, which was my personal favorite. 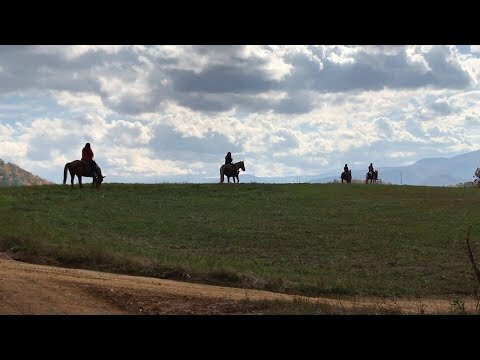 They are so unique and graceful. 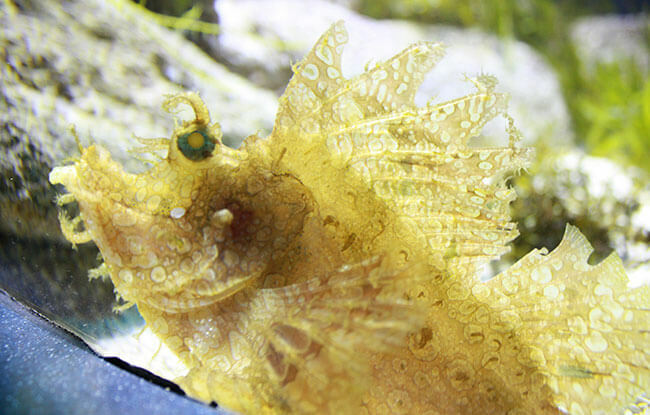 The leafy sea dragon shares the tank with a pot-bellied seahorse. We saw a scuba diver above us when we started on the moving platform in the Shark Lagoon tunnel. We saw a whole bunch of sharks too, like sawtooth sharks, sandbar sharks, and nurse sharks. In the Gallery of the Seas, we saw various types of coral, scorpionfish, jellyfish, frogfish, anemones, cuttlefish, and a chambered nautilus. 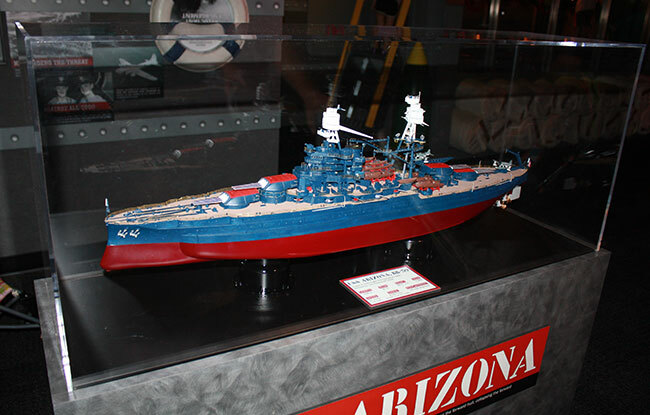 The Pearl Harbor exhibit (included in admission) features a model of the USS Arizona and Imperial Japanese aircraft. My daughter enjoyed trying to shut off the water nozzles and sound the alarms inside the interactive USS Arizona display. After learning that Robert Ripley was the driving force behind the USS Arizona Memorial, we headed into Stingray Bay. Overall, it was a great experience. 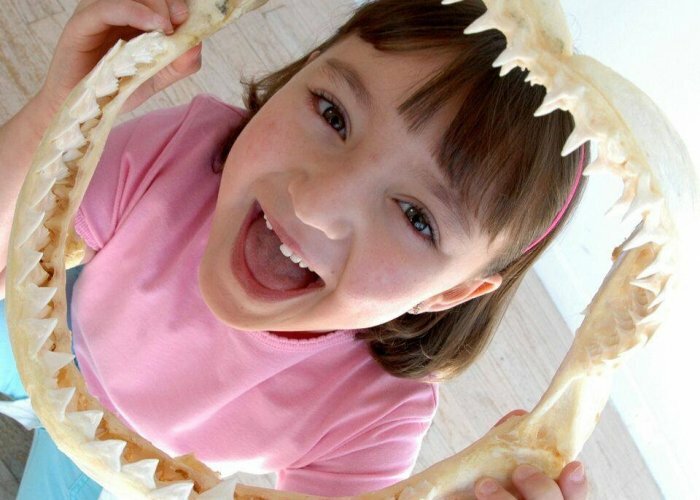 My daughter talks about the aquarium with fondness. If you wanted to stay longer and read everything on-site, I’d recommend you’d take at least half a day to go through the aquarium. We stayed for about two and a half hours. It’s also worth mentioning that snacks are pretty cheap ($2.99–3.99). 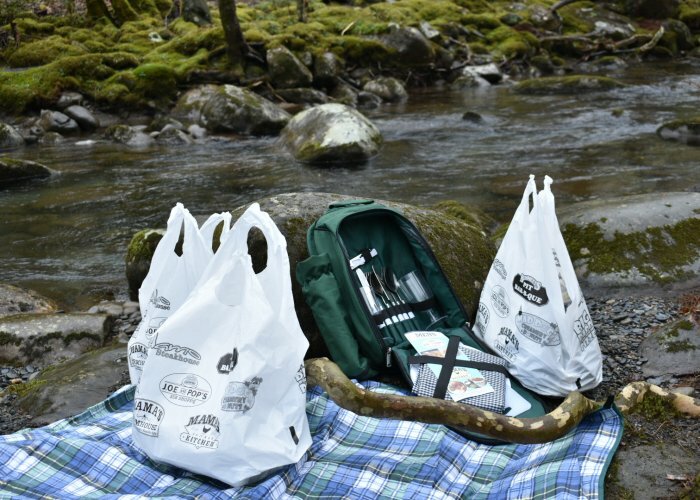 You can get a full-blown combo meal for $8.99. 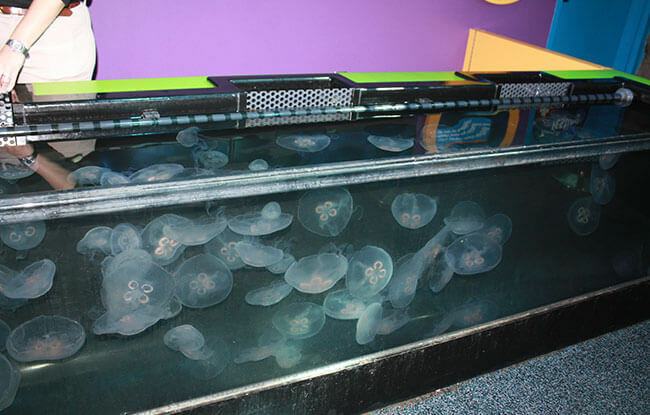 I think visiting Ripley’s Aquarium of the Smokies is going to be a staple for every visit to Gatlinburg! Check out the brochure to get $2 off regular admission if you plan to only stop at this Ripley’s attraction during your visit. There are other coupons available on the brochure page, too. They will make you put plastic gloves on for whoever is going through the maze. The gloves reduce the fingerprints on the mirror glass, although they do clean the glass frequently. 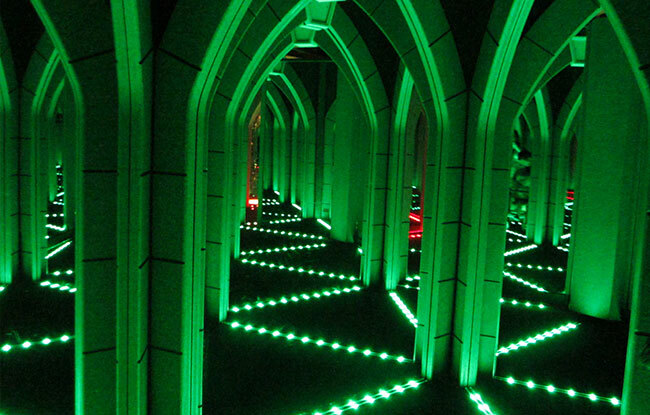 It’s a fun experience, and the lights change while you’re going through the Mirror Maze. The operator told us we could come back and go through again later in the day if we wanted (awesome!). So we did that on the way back to our car, also. You can take a stroller through, but it would be a bit of a tight fit. I recommend that you instruct your kids to walk slowly. My daughter ran into the glass a couple of times. She still loved it! Check out the brochure for $2 off regular admission, plus other coupons. You can also view the MoBro video, where Erika travels through the maze to get a better idea of the experience you’ll have. 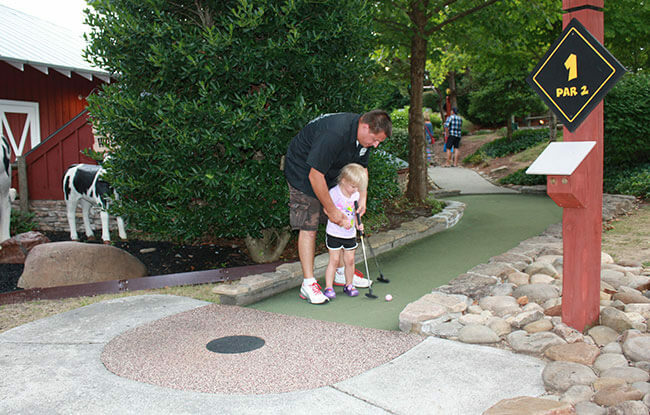 The best part of this experience was teaching my daughter how to use a putter for the first time on the Udder course. 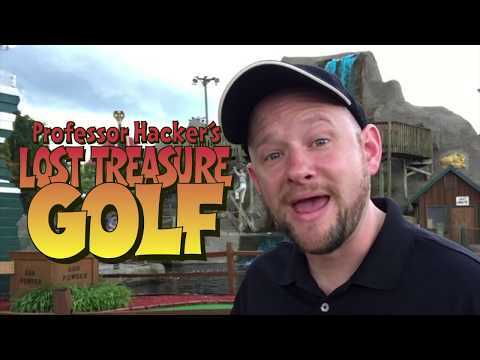 I didn’t know what to expect when I went here, but the interactive holes made for a very fun experience. 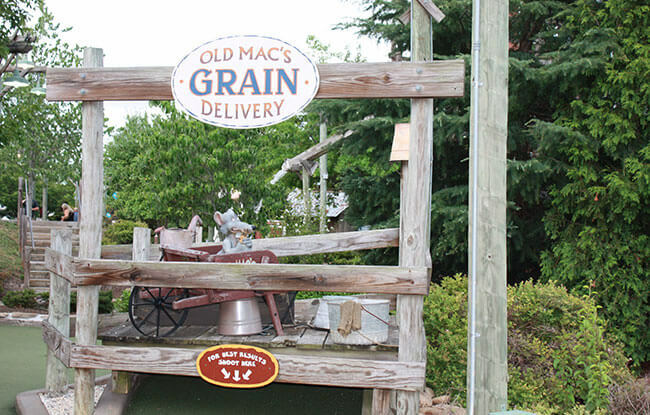 We loved seeing what new sound or animatronic would happen at each hole, like the mouse moving at Old Mac’s Grain Delivery. If you have young ones, expect them to last about 20 minutes before you need to take over. Our daughter was tired, and about 20 minutes in, she just handed my husband her ball for him to golf on her behalf. I managed two holes-in-one, and my husband got one. There are three different courses here. You can choose just one or opt to play more (at a discounted rate). Check out the brochure for $2 off regular admission. I hope you enjoyed learning about some of the attractions you can visit as part of the Ripley’s Attraction Combo Packages. 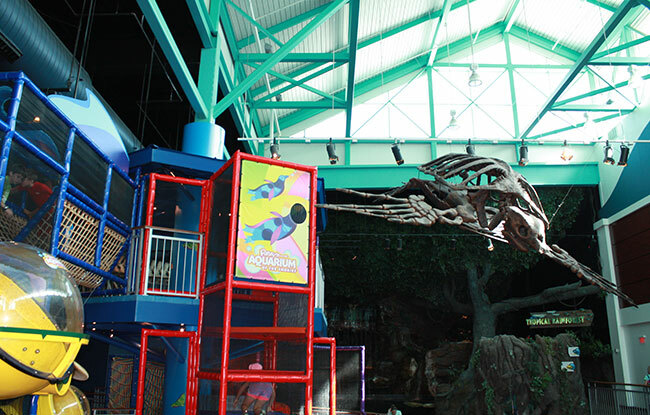 You can check out all of the Ripley’s attractions right here on MobileBrochure.com. Register and login to save brochures to your suitcase, and get access to those additional coupons on the go!